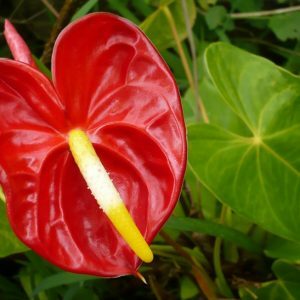 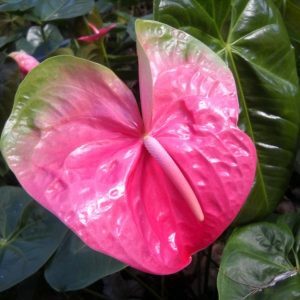 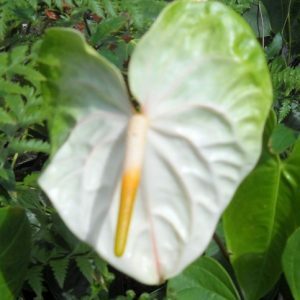 Anthuriums produce beautiful heart-shaped bracts in shades of reds, pinks, greens, whites and combinations of pastels. 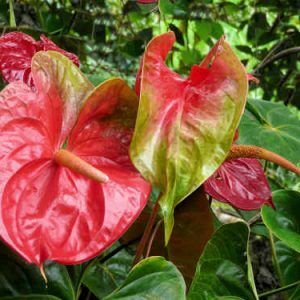 At home in muggy rain forest of tropical America. 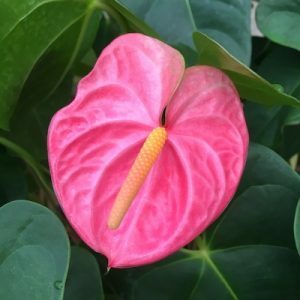 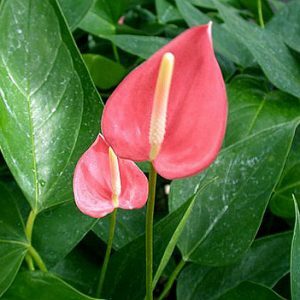 Anthuriums will thrive where humidity and mild temperatures are met indoors or out. 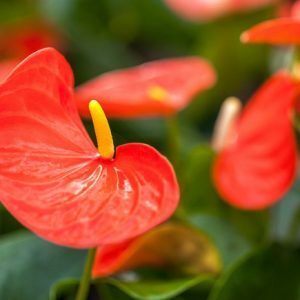 They are very easy to maintain and thrive.